Chris Froome is a Kenyan-born British road racing cyclist who currently rides for Team Sky (UCI ProTeam). He debuted professionally in 2007 at the age of twenty-two with Team Konica Minolta, before relocating to Europe where he joined team Barloworld. 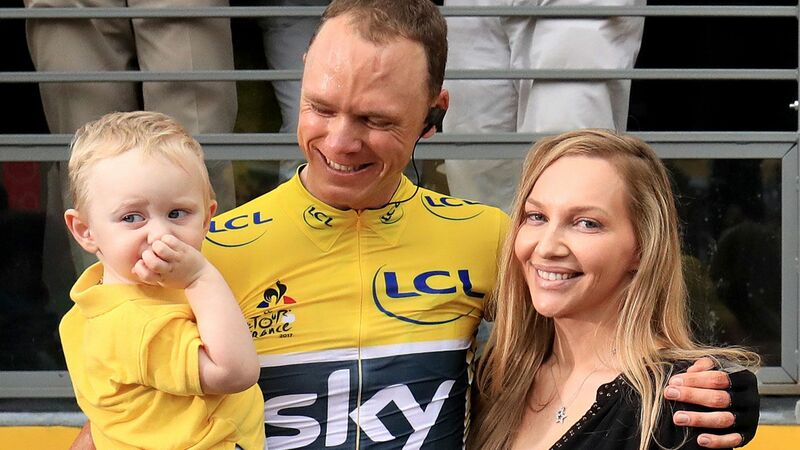 Froome was born in Nairobi Kenya, on the 20th of May 1985 to Jane and Clive Froome. He is the last of the three children (all boys) born to his parents. His father is English and a former field hockey player who played for the England under-19 team in his younger days. His maternal grandparents had left England to Kenya to grow a crop farm. He attended the Banda School in Nairobi, after his primary school education, he moved to South Africa where he attended St. Andrew’s School; a publicly funded school in the city of Bloemfontein, and then a boarding independent school in Johannesburg, called St John’s College. After his secondary education, Froome studied economics at the University of Johannesburg for two years before abandoning it to pursue a career in cycling. His older brothers Jonathan and Jeremy attended Rugby School in Warwickshire, England. Chris Froome’s love for bike race began at the age of thirteen when his mother took him to his first organized race which was a charity race. It was at this charity event that Froome met David Kinjah, a professional cyclist who would later become his mentor and trainer. While in South Africa, Froome started road racing specializing as a climber. In 2006, he represented Kenya in the Commonwealth Games held in Melbourne finishing 25th. This caught the attention of the Dave Brailsford, who would later become the principal of Sky Team. Despite crashing into an official just at the beginning of the time trial while representing Kenya in the under-23 category at the Road World Championships held in Salzburg, Austria, in 2006, Chris Froome still finished 36th. After two years at the University of Johannesburg, Froome dropped out to pursue a career in cycling and the following year (2007). At the age of 22, he took his cycling passion professional by joining the South African Team, Konica Minolta and between April and September, he competed in the U23 Nations for the Union Cycliste Internationale’s World Cycling Centre in Switzerland. In May, he rode for the WCC at the Giro delle Regioni, and won stage five (this was his first stage race). By the end of that month, he won the stage six of the Tour of Japan. In June, he finished second after China’s Haijun Ma in a 26.8-kilometre-long (16.7 mi) time trial at the “B” world championships in Cape Town. In July, he won the bronze medal at the All-Africa Games, held in Algiers, Algeria. By the end of September, he ranked forty-first in the under-23 time trial at the world championships held in Stuttgart. For the 2008 season, Froome signed with Barloworld – a second-tier UCI Professional Continental team. His performances in the 2008 season attracted him to British Cycling coach, Rod Ellingworth, who saw a lot of potentials in Chris Froome. In 2009, he joined the British cycling team, Team Sky. In October of 2010, Froome at the Commonwealth Games held in Delhi, represented England finishing 5th in the time trial, just two minutes and twenty seconds behind the winner, David Millar. His major career breakthrough came in 2011 when he finished second overall at the 2011 Vuelta a España. In 2012, he won stage seven and finished second overall, behind Wiggins at the 2012 Tour de France. In 2015, Froome for the second time won both Critérium du Dauphiné and Tour de France. His third Tour de France came the following year and he became the first person after Miguel Indurain (1995) to defend the title successfully. He won his fourth Tour de France in 2017. He recorded other successive wins at the 2017 Vuelta and at the 2018 Giro. 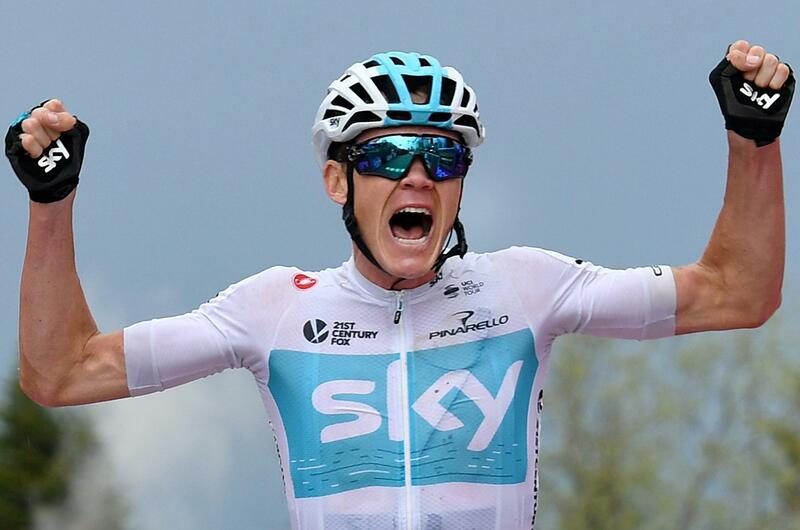 Chris Froome currently holds the honor of being the first cyclist to ever win the Tour-Vuelta twice since the Vuelta’s move to a September slot in the racing calendar, he is also the first person to hold all three Grand Tour jerseys at the same time since Bernard Hinault’s 1983 record. After the after stage 18 of the Vuelta a España, Froome was subjected to a doping test and in December 2017, the UCI announced that the five-time Grand Tour winner used almost twice his allowed dosage of salbutamol, an asthma medication. It explained that both the A and B samples revealed that salbutamol concentration found in his urine was in excess of the 1000-1200ng/mL threshold of “therapeutic use”. Explaining why excess salbutamol was found in his system, Froome said his asthma got worse at the Vuelta so he followed the team doctor’s advice to increase his salbutamol dosage. The result of the British rider’s tests has met wide criticism, especially from fellow cyclists. In January 2018, David Lappartient (UCI president) advised Team Sky to suspend Chris until the case is resolved. Team Sky’s manager, David Brailsford, quickly came to Froome’sdefensee stating that the young cyclist is innocent and has done nothing wrong and that he felt the case shouldn’t have been made public. In July 2018, the UCI officially closed the case, stating that the rider had supplied sufficient evidence to suggest that the sample results from the tests conducted on him do not constitute an AAF. The British cyclist is happily married to Michelle Cound. The couple met for the first time in 2009 through a South African cyclist Daryl Impey. In 2011, they moved to Monaco together and got engaged in March 2013. A year and some months later, precisely in November 2014, the couple decided to tie the knot. They welcomed their first child (Kellan) together on 14th December 2015. Their second child followed in 2018. Chris Froome stands at a height of 1.86 m, which is 6 ft 1, weighing 69 kg (152 lb; 10.9 st), his other body measurements are unknown. In 2016, Fromme was named an Officer of the Order of the British Empire (OBE) in the New Year Honors for his services to cycling. The cyclist dedicated his 2013 Tour de France to his mother, who died just five weeks to his Tour debut in 2008. She died of cancer.